ISPWP Ranks JPG 14th in the World! 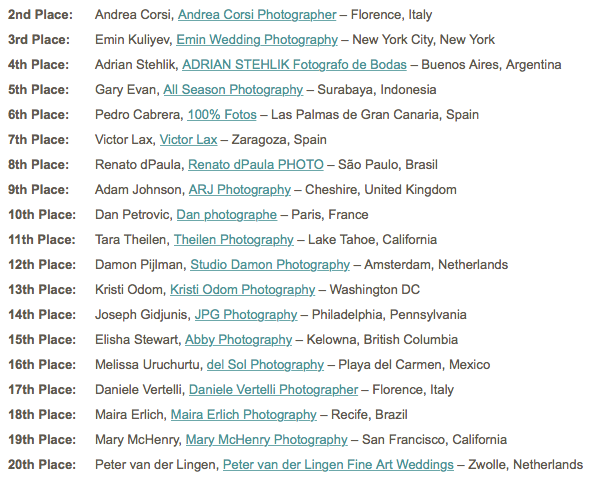 The International Society of Professional Wedding Photographers has honored JPG photography by ranking it 14th internationally for this quarter. Despite having been recognized by them both last year and in the spring of this year, it is still mind boggling to think that, among the many deserving photographers, we at JPG continue to stand out. This time we earned awards in four different categories: emotional Impact, bride and groom portrait, engagement portrait and bridal party portrait. 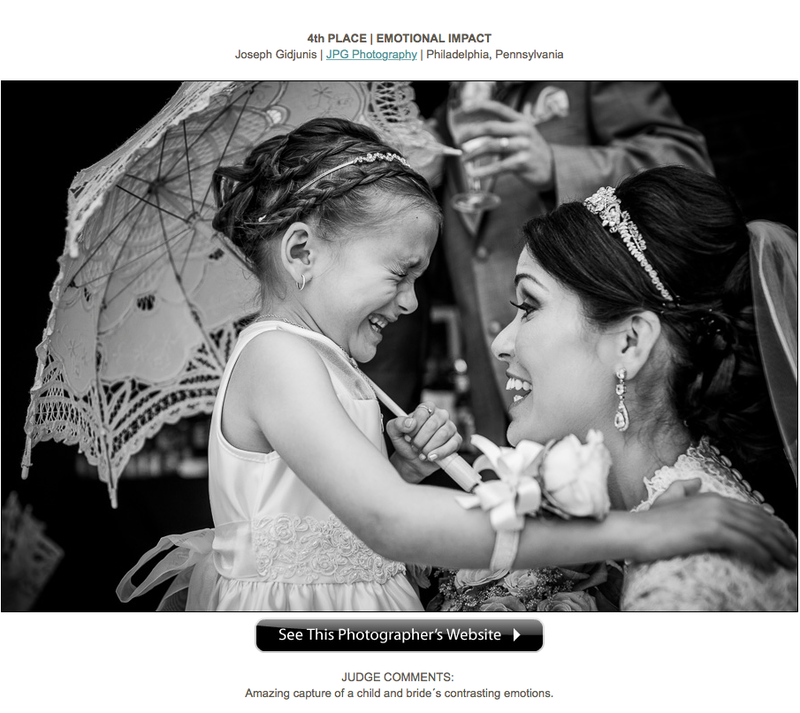 For our Emotional Impact photo, a shot from Jenni and Jimmi’s wedding was chosen where Jenni’s daughter, Gianna, overwhelmed with emotion, cries in a moment of pure joy shared with her mother. ISPWP’s pick for Bride and Groom portrait came from Amy and John’s wedding at the Springfield Country Club in Springfield, PA. 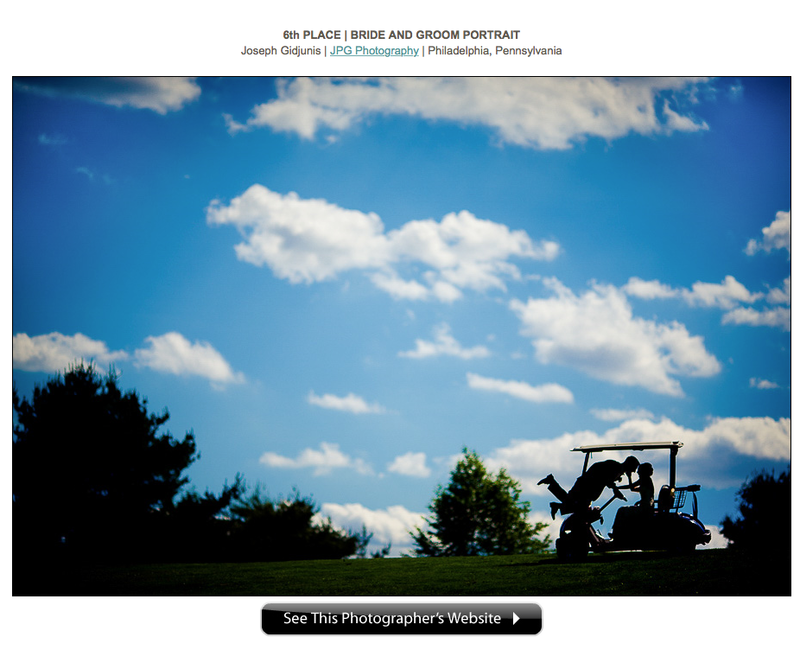 I loved having the couple play around on the golf cart as I captured their silhouettes against the cool blue sky. Derby Divas Kelli and Kristen were one of the society’s choices for engagement portraits. 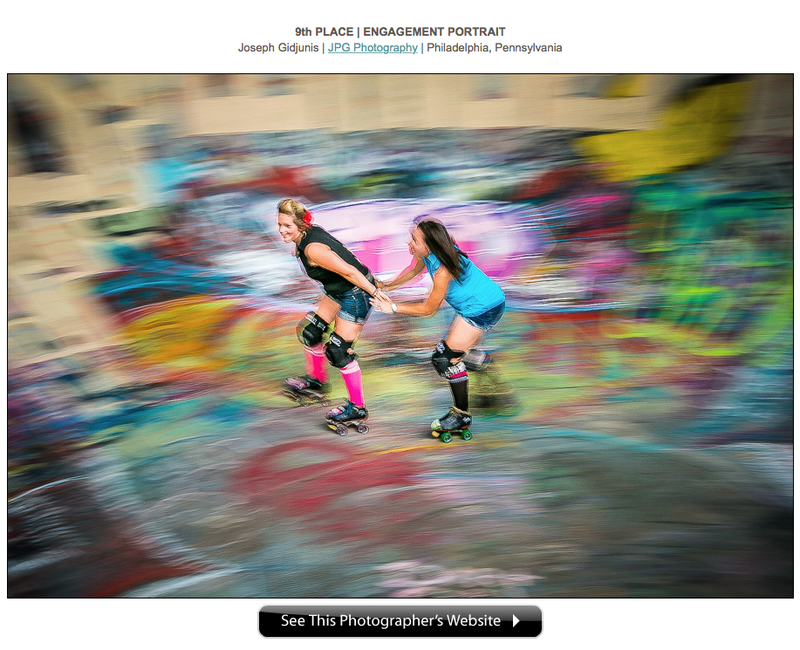 The couple met skating in a roller derby competition and it only felt right that we capture them doing just that. 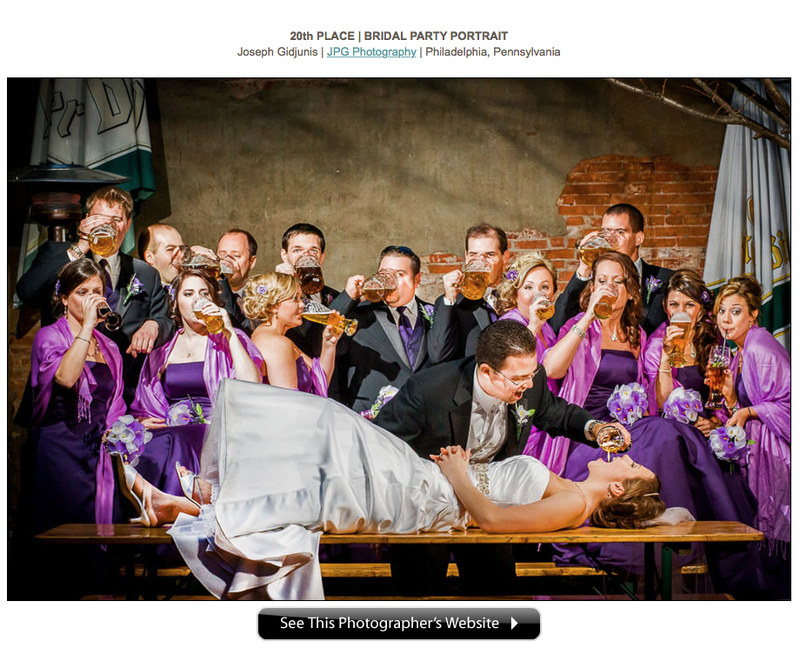 Lastly, our beer pour photo—one of our personal favorites from Dana and Mike’s wedding placed in the ISPWP’s Bridal Party Portrait competition. We are excited by this accomplishment, however, we cannot take all the credit. We are allowed into couples’ lives during one of the most important days of they will share together and they show us their worlds for a few brief hours—enough to capture the love they share. This is a privilege we never have and never will take for granted.